Have been a resident of Airdrie (as defined by the school attendance boundaries) for a minimum of three years and have made significant community contributions. Have obtained an exceptional level of athletic achievement at a sanctioned national or international competition, or set national or international records, or achieved national or international titles while competing. Team nominations require a minimum of 50 per cent of its members must be Airdrie residents. The athlete’s accomplishments will be proudly displayed at Genesis Place and will be recognized publicly. Darrell Belyk is a man of strong values and determination. 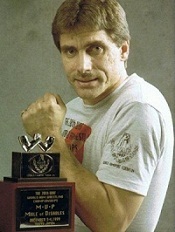 He has competed in his chosen sport of arm wrestling for over 24 years and has won many National and World titles. During this time he has promoted the City of Airdrie as an excellent venue to host arm wrestling events. Darrell is a huge supporter of volunteering for community organizations and events. He is also one of the City of Airdrie’s newly elected Alderman. Corissa has consistently been one of the hardest working athletes in any of the trampoline disciplines. Her commitment to perfecting her performance led her to make significant personal sacrifices, as all of her energy and efforts went toward competition preparation. In 2010 she was crowned World Champion when she won the gold medal at the Individual World Championships. Corissa has volunteered and participated in fundraising at the Airdrie Gymnastics Club. Emily is dedicated, hardworking and most of all kind and friendly to all of her fellow athletes. She carries herself with pride and shows un-equaled sportsmanship in everything she does. 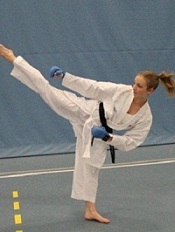 Her efforts and talents have taken her to the pinnacle of Canadian Karate, medalling at the last four National Events. Emily took silver at the Canadian National Championships and was named to the Canadian National team in 2012 and represented Canada at the US Open Championship were she took the bronze. Eric has always shown a high level of moral and work ethics. Always competing fairly against very aggressive opponents, Eric has been a modest winner and gracious in defeat. His regime of training over the years in the luge program has demonstrated his determination and self-motivation, allowing him to lead by example to his peers and younger athletes. 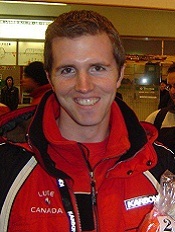 Eric holds the Canadian speed record for the luge track at COP and has the best ever finish for a Canadian luger at the Olympics where he placed 5th in 202 at Salt Lake City. 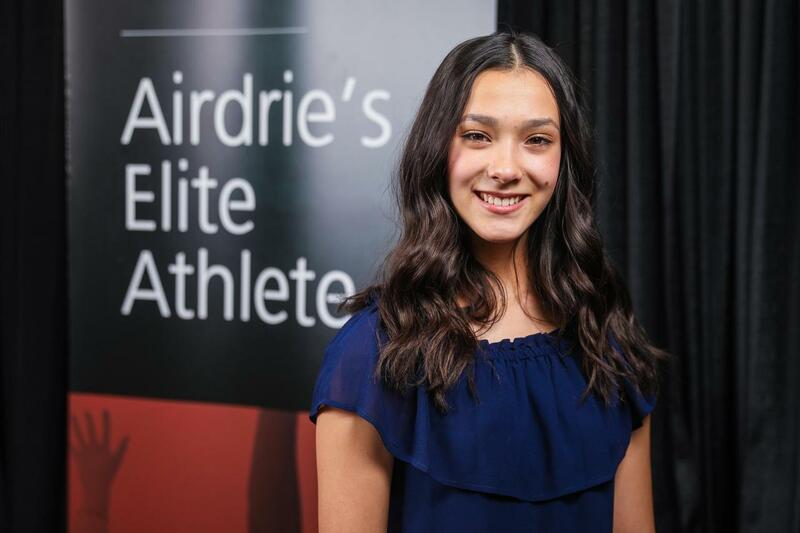 Janelle Desmarais-Moen's athletic career in the sport of Trampoline and Tumbling has seen her compete as part of the Airdrie Edge Gymnastics Club team, as well as having placed on Team Alberta and Team Canada. As an athlete Janelle is not only talented, but she is also hard-working, dedicated and enthusiastic. 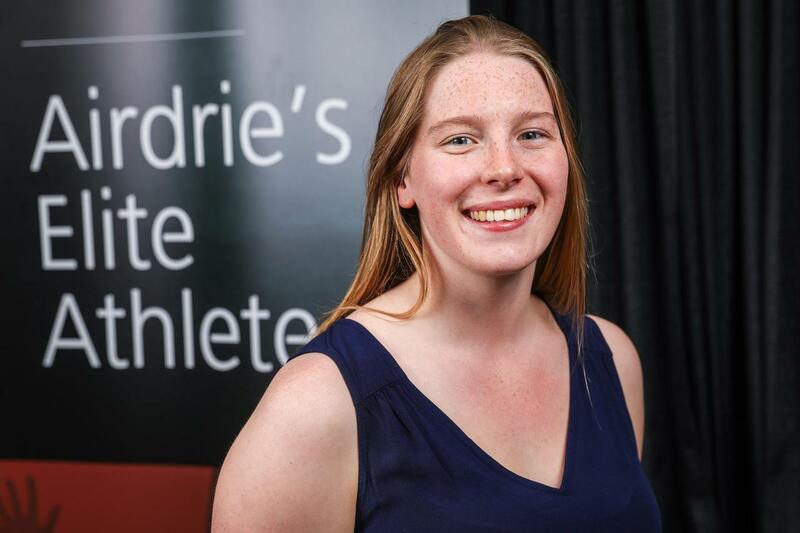 Not only is Janelle a skilled athlete in her sport, she is giving back to the community as a coach of Provincial level athletes. These young athletes definitely see Janelle as a role model and positive mentor. Keely Brown, born and raised in Airdrie and attending University at the University of Alberta in Edmonton still considers Airdrie home. Keely is a well-rounded athlete and a dedicated volunteer. 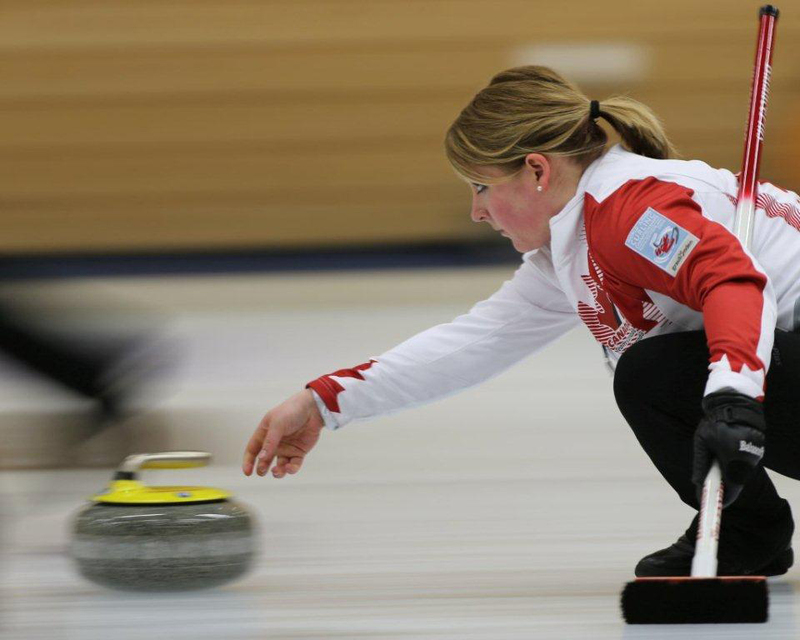 Keely is a volunteer curling instructor in Airdrie, Calgary and Alberta Rocks Curling Camp. She finds the time to volunteer at the Airdrie Food Bank and at the Airdrie Festival of Lights. Keely has achieved a lot of her goals at a young age. She is the 2013 and 2014 Canadian inter-university Sport Women's Curling Champion and the 2014 M&M Meat Shops Canadian Women's Junior curling Champion and the 2014 World junior Champion. At the age of six, Danica's family moved from Nova Scotia to Trinidad and Tobago - the start of big things for Danica's future in swimming. When they first arrived, Danica's parents signed her up for swimming lessons. Unbeknownst to them, they had signed her up for competitive swimming, something that may have intimidated a six year old. For Danica however, it sparked a passion for the sport. Danica and her family relocated to Airdrie when she was nine. In a short amount of time, Danica had already gone on to compete at many provincial and national competitions. In 2015, she broke the 15-17 Alberta provincial record in the 4 x 100 medley relay, which still stands today. She is currently a member of the University of Calgary Dino's Swim Team, specializing in the 100m and 200m breaststroke. At a very young age, Piper was constantly moving, skipping, jumping and tapping her feet. Seeing this energy in her daughter, Piper's mother signed her up for dance lessons. It didn't take long for the sport to become her passion, and although performing on stage was frightening at first, it is now Piper's favourite place to be. In 2016, Piper began ballet at YYC Dance Project and experienced immediate success, placing first in her competition for her classical variation. Recently, she competed in her first international competition, placing in the top 12 for her contemporary solo at the Youth American Grand Prix in Las Vegas. Piper doesn't plan on stopping anytime soon as she says she falls more in love with ballet at each practice and feels blessed every time she gets up on stage.